The 3 step foundation system to get organized! 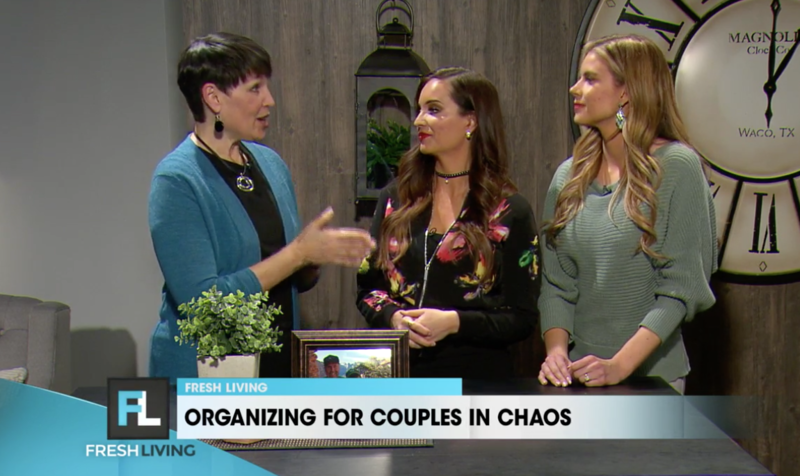 When we are confronted with all the stuff in our space, organizing can feel overwhelming! We don’t even know where to start. 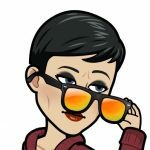 Marla Dee defines clutter as “delayed decision or holding onto the past.” The stuff seems to pile up because there are just too many decisions to make. So we need a simple place to start. Try this three step system for any project of any size. For more details get the C&S Systems card here. SEE IT – What’s working, what’s not working and why? The first step is SEE IT.©, which stands for take a look at where you’ve been. Before you dive into touching the stuff, take 5 minutes to answer the questions what’s working, what’s not working and why? MAP IT – How do I want my space to look, feel and function? The second step is MAP IT.©, which stands for make a plan for what you want. This can seem overwhelming also. To make this step simple write how you want your space/project to look, feel and function when you’re done. The third step is DO IT.©, which stands for take the steps to get it done. For this step, try out the Action System of STACKS. Now that you are touching the stuff, the project gets crazy. The power of STACKS is taking one step at a time.You do this by asking one question and making only one decisionat a time. Tune into our blog next week to get more details. Did anyone ever tell you that organizing is a SKILL that only 10-12% of the human population on the planet earth is born with (see note below)? Most people assume that everyone should just know how. Parents expect their kids to know how to clean up their rooms. Bosses expect their employees to know how to organizing their office. Yet, 90% of the human population on the planet earth really struggle. – If clutter clearing was easy, the piles wouldn’t be there. – And if organizing was easy, the chaos wouldn’t be here. You are often helping other people with their disorganization and maybe you have even started an organizing business. It was April of 1999 when I met my first organizing client. I was there to work on her home office. I was excited and also terrified. We had only spoken on the phone so I didn’t know what to expect and I felt clueless about how I would help her. I had many tools and lots of experience to draw from but I didn’t have a system to take us through the process. Throughout my first year I witnessed over and over again that my clients were wired differently from me. They got confused and didn’t understand the steps. This is when the Clear & Simple Systems were born. I realized I needed a way to teach them the SKILL. And I wanted it to be fun and easy. NOTE: In the last 20 years, I have consulted with hundreds of clients and audiences. 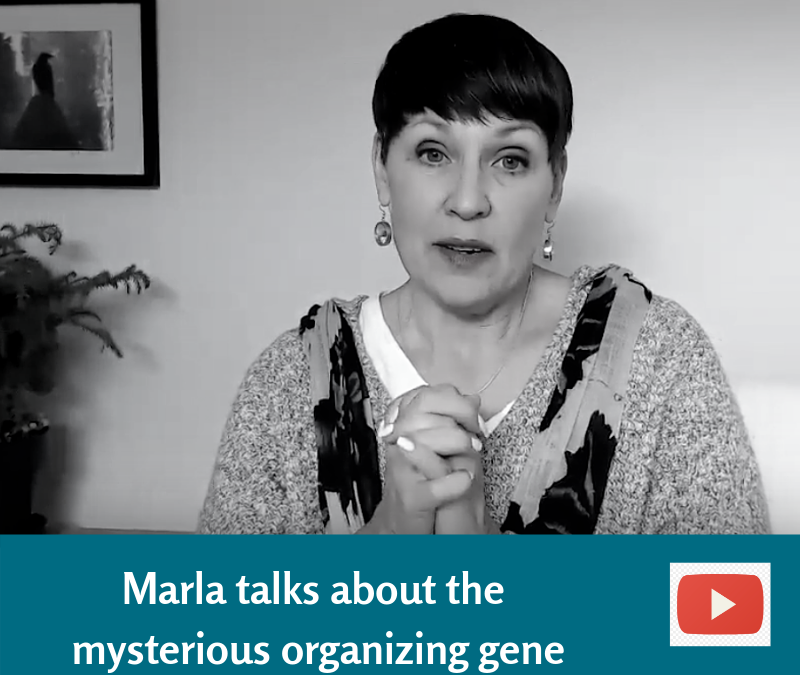 According to my research only 10-12% of the human population is born with the organizing gene, with the innate skill. The other 90% really struggle. Try working together rather than battling each other! I am often called a marriage therapist by the couples I work with. I am in their home, I see the clutter and chaos, I hear the overwhelm and frustration. It can feel hopeless to create a home that is peaceful and inviting. Use these practical tips to help make organizing easier and get closer as a couple. Your partnership is the most important relationship in your life. TIP 1: Let the bedroom be all about rest, intimacy and connection. Remove all clutter, laundry, paper piles or projects. After clearing the bedside tables, place items like candles, books or music that help you relax and enjoy each other. Choose the furniture and items that you both love. Keep the TV out of the bedroom. TIP 2: Just like a weekly date night, schedule a weekly planning session together. Make this time meaningful and fun! Choose a comfortable place, in or out of your home, where you enjoy being with each other. Share your wins and disappointments from the week before. Genuine attention is the most precious gift you can give each other. Have a shared calendar to track all the needed activities on.Look at the week ahead and share with each other what is happening and what kind of support you need. You can also handle meal planning and budgets during this time. Then it won’t be hanging over you. TIP 3: Honor each other’s organizing styles. Each of you gets your “own space” to keep the way you want. We tend to be attracted to and partner with our opposites. Each person needs their own space, their own hobbies and their own time to do their stuff. This will relieve stress and make time together more meaningful. TIP 4: Share the load and/or delegate the keep it up tasks. Our days are full of the keep it up tasks – cleaning, fixing, errands, calls, etc. Yet, we have really full lives and there just isn’t time to do everything. So, choose what maintenance things each person enjoys doing (you might love doing laundry or yard work). Then hire out the tasks that neither of you has the time, energy or skill set to do. Examples of this would be to pay a housecleaner, professional organizer, yard keeper or meal manager. Do you even care about being organized? Why or Why not? Earlier we explored where to start getting organized. Now let’s go further and talk about why organizing matters. 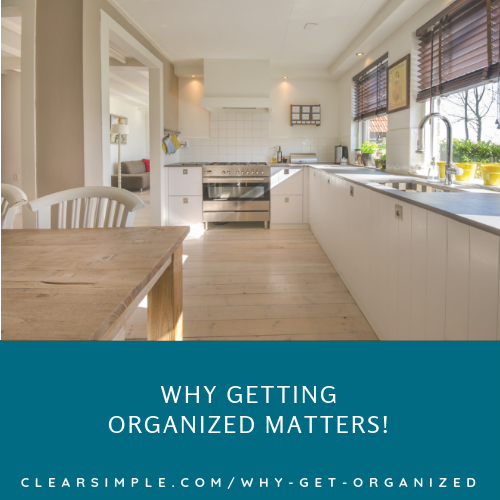 Does getting organized really matter to you? if so, have you asked yourself why? If not, why? Your reasons can be completely different than your partner, family, friends or co-workers. Getting clear on why you care and how it can help you personally will inspire you to make time for it. Organizing has been given a bad rap in these times of overconsumption and minimalizing. Somehow, organizing has been reduced to putting stuff in pretty containers. Yet it is so much more than that. 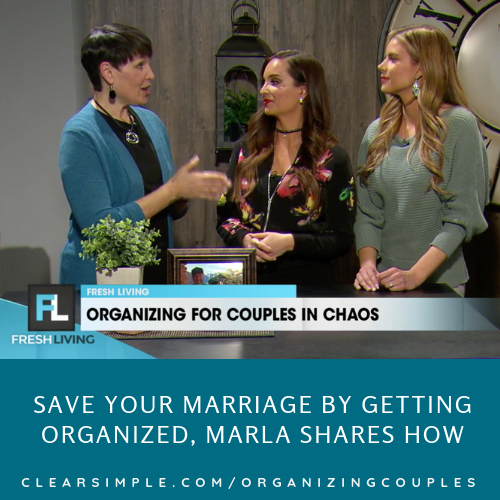 Here are a few reasons why getting organized in your space and life matter. I hope you can see how organizing is an essential part of your everyday life. I invite you again to write down the project or area you want to start organizing this year and why it matters to you. Then, if you want to go further, explore why getting more organized this year will make your life easier and better. For more understanding of how organizing and professional organizers help you, check out this great blog – What Professional Organizers Really Do. It’s no secret that clutter and disorganization contribute to stress, anxiety, further over-consumption and exhaustion. My purpose is setting you free of this stress.